Famous Twitch streamer Ninja is set to appear in a Super Bowl commercial. The NFL is celebrating its 100th season with Super Bowl 53 and will be running a commercial right before halftime. The commercial features many NFL players from both the past, such as Peyton Manning and Michael Strahan, and present, such as JuJu Smith-Schuster. What fans might be on the lookout for is the appearance of Tyler ‘Ninja’ Blevins. 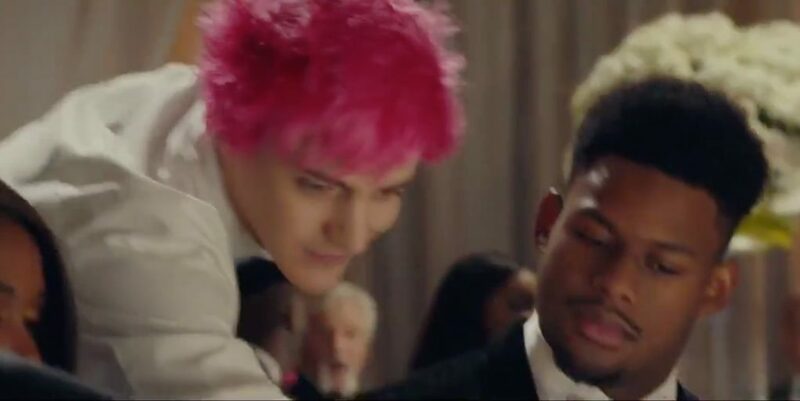 In a clip posted to his Twitter page, Ninja shared a clip of the commercial which shows him talking to JuJu Smith-Schuster at the beginning. Ninja says this commercial will air right before halftime of the Super Bowl this weekend. Fortnite is also getting in on the festivities for Super Bowl weekend. Epic Games has confirmed the NFL jerseys will be returning in time for the big game and you may notice the Rams and Patriots outfits have received special updates for the Super Bowl. On top of this, there will be an NFL Rumble LTM that will put players in teams of 20 in either Rams or Patriots jerseys as they compete for a victory. The Super Bowl is set to take place on Sunday, February 3.